Has been an active member of the Federation of Asian Chemical Societies (FACS) since 1979. In 2005, the 11th Asian Chemical Congress (ACC) was held in Seoul. 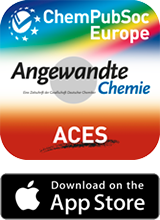 Has been a national affiliated organization of the International Union of Pure and Applied Chemistry (IUPAC) since 1985. In 2015, the 48th General Assembly and the 45th World Chemistry Congress of the IUPAC will be held in Busan. Singed the Journal Publishing Agreement - Chemistry an Asian Journal - with Asian Chemistry Editorial Society (ACES) in 2005. Has been participated in the International Chemistry Olympiad (IChO) since 1991, and held the 38th International Chemistry Olympiad (IChO-2006) at Yeongnam University, in 2006. Signed a memo of understanding Between KCS-JAIMA (Japan Analytical Instruments Manufacturers' Association) in 2008. Signed the KCS-RSC (Royal Society of Chemistry) International Cooperation Agreement in 2009, and extended the agreement by another 5 years in 2014. Signed the KCS-Journal Publishing Agreement - Asian Journal of Organic Chemistry - with Asian Chemistry Editorial Society (ACES) in 2011. Signed the KCS-Physical Chemistry Chemical Physics Partnership Agreement (PCCP) in 2011. Signed the Bilateral Cooperation Agreement with KCS-GDCh (Gesellschaft Deutscher Chemiker) in 2012. Signed the Pacifichem 2005 Co-sponsoring Agreement in 2001, the Pacifichem 2010 Co-sponsoring Agreement in 2006 and the Pacifichem 2015 Co-sponsoring Agreement in 2011.